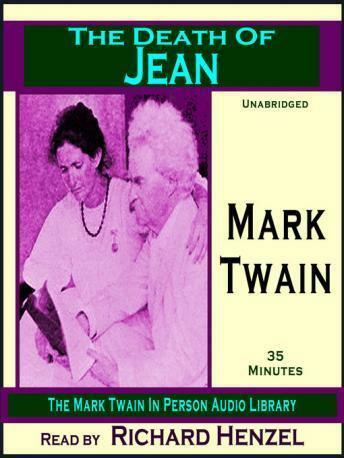 The death of Mark Twain's daughter, Jean Clemens, occurred early in the morning of December 24, 1909. A few hours later he was writing steadily. "I am setting it down," he said, "everything. It is a relief to me to write it. It furnishes me an excuse for thinking." Four hours later he said, "I have finished it...some day&apos;at the proper time&apos;it can end my autobiography. It is the final chapter." Four months later &apos; almost to the day (April 21st) - he was with Jean. A Mark Twain In Person Audio Library recording, narrated by Mark Twain interpreter and actor Richard Henzel.